Safety First | Features | Kids VT - small people, big ideas! Parents naturally have to trust that their kids are being well supervised and cared for by their teachers and daycare providers. So what happened to 3-year-old Parker Berry shocked and saddened moms and dads across the state. On Thursday, February 11, according to the state police report, the Hyde Park child apparently wandered off from Elephant in the Field, his home-based daycare program in Waterbury Center. It wasn't until family members came to pick him up that the staff noticed he was missing. The boy was eventually found floating, unconscious, in a semi-frozen brook that borders the property. He was resuscitated but died two days later. 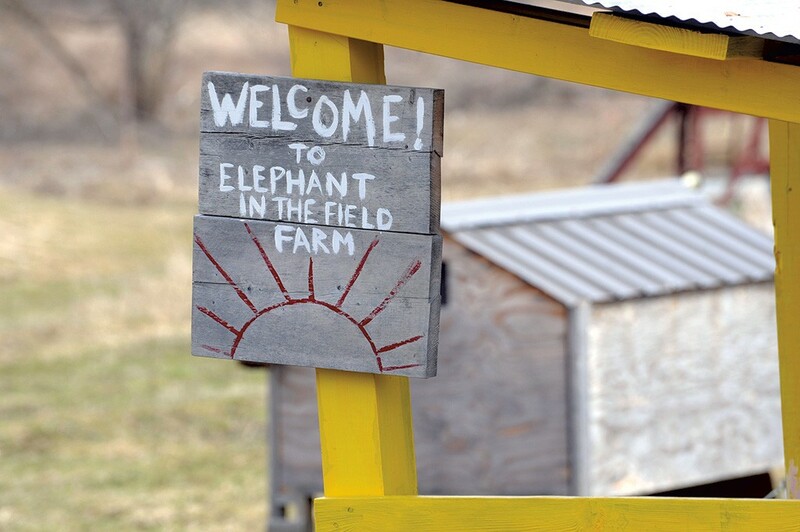 Though this was the first time many Vermonters had ever heard of Elephant in the Field, it was familiar to me. I visited and profiled the daycare program for the April 2014 issue of Kids VT. Children there fed livestock, gathered eggs and explored nature on the 42-acre family farm. At the time, I characterized owner Marlena Tucker-Fishman's educational approach as representative of the "free-range" style of parenting. The parents I interviewed for that story all told me they chose Elephant in the Field in part because of that approach. They liked that their kids spent lots of time outdoors and came home dirty at the end of the day. As this issue of Kids VT went to press, the details surrounding Parker's death had not been made public. The Vermont State Police, the Department for Children and Families, and the Washington County State's Attorney's Office were all investigating the incident. In the meantime, the state has closed the program indefinitely pending those agencies' findings. Tucker-Fishman, the program's owner, did not respond to requests for comment. Similarly, parents of children who attended Elephant in the Field also declined to comment publicly, out of respect for Parker's family as well as for all the other families and teachers affected by this tragic event. Dozens of other people, however, have weighed in with online comments. "A little too much freedom and non-supervision," wrote one reader on kidsvt.com. "There are days that a child should be kept inside," wrote another. Though this tragedy occurred outdoors, wilderness- and nature-based programs aren't inherently less safe than other childcare options. In fact, all the child-development experts interviewed for this story agree that, with proper supervision, such programs go a long way toward improving children's comfort with, understanding of and self-confidence in the outdoors. Still, some nature-based childcare providers didn't wait for parents to raise concerns — they're talking about the accident, and their own safety protocols, proactively. When the news broke, Allison Coeyman — sister of Kids VT contributing editor Meredith Coeyman — said that she and other educators at Saxon Hill School in Jericho felt obliged to acknowledge the tragedy to their students' parents, and to thank them for trusting the teachers with their kids' well-being. Coeyman is a lead teacher at the parent cooperative preschool in Jericho. Several days a week, she cares for 17 3- and 4-year-olds who are supervised by her, an assistant teacher and a parent helper. As the Saxon Hill School backs up on Mills Riverside Park in Jericho, which has a river, a pond and woods to explore, she and the kids use it "just about daily." "Even though I don't know that center or those families," she said, referring to the EITF daycare program, "it still feels like part of our community." While saying that she didn't want to sound judgmental in any way, Coeyman suggested that some people may misinterpret the term "free range" as meaning that kids are given no boundaries or supervision whatsoever. "Our kids [at Saxon Hill] do feel free to explore and climb and jump and do things they want to do, but they're not left out on their own," she emphasized. "We're always there to guide their decisions." When her students walk along the river, she said, they'll often stop, look and listen to it, then talk as a group: How fast is the water moving? Is it iced over? Does it look safe enough to cross, or even approach? And how close is too close? Do parents choose Saxon Hill for its emphasis on outdoor learning? Coeyman, whose daughters are now 14 and 10, said that's one reason she sent her girls there. "Kids need those sensory experiences. They need that connection to nature to care about nature and care about the environment," she added. "If anything, it's more important for kids to have those experiences early on so they can be safe when they have to make their own choices." The North Branch Nature Center in Montpelier offers similar experiences. The center runs a forest preschool, nature camps and playgroups, and other wilderness-based educational programs for all ages on its 28-acre reserve on the North Branch of the Winooski River. "Our staff continuously reviews and works to improve our own safety procedures and practices, and, of course, Parker's tragic death has us scrutinizing them thoroughly," said executive director Chip Darmstadt. He explained that the center has been communicating with forest preschool families about safety protocols already in place, including head counts, conducted every three to four minutes from the time of drop-off to pick-up, and "safety sandwiches." "Whenever we move from point A to B, adults bookend the children," he said. "We have an enormous responsibility, one we can never take lightly." Joanne Pillsbury is director of Heartworks Williston, one of four preschool programs that Heartworks operates in Vermont. Pillsbury said that Berry's death also hit home for her and members of her staff. "We're all in this because we love children," she explained. "A lot of us are moms, and we know what it's like when we drop off our children. It's like handing your heart over to somebody." Although the on-premises playground of Heartworks Williston is fenced in, Pillsbury said that her classes routinely take walks off their property to what they call the "magic forest." 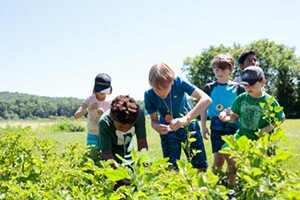 And, as their program is also affiliated with the Renaissance Elementary School at Shelburne Farms, her students often take field trips there to explore the lake, streams and hiking trails. On the Monday after the news broke of Parker's death, Pillsbury sent an email home to the parents of the 112 kids enrolled at the Williston school. It reiterated the many safety policies and protocols they follow, including procedures for counting heads and signing children in and out whenever they enter or leave the building. "We want to allow our children to explore the world and experience nature and discover things," she added. "We don't want to hover or have kids feel like they're constantly being watched — even when they are." Like everyone else interviewed for this story, Pillsbury wasn't comfortable commenting on Parker's death. Was she concerned that a tragedy like this one might make some parents more apprehensive about nature-based programs? She hoped not. "I do know it makes parents hug their kids a little bit tighter," she said. The day after Parker Berry's accident, a GoFundMe campaign was created in his name. It has already raised more than $22,000 for his family. Some of the EITF parents have also discussed setting up a book donation program in Parker's name at the libraries in Hyde Park and Waterbury Center. Kids VT will update readers as more details become available. Although deaths in Vermont daycare programs are exceedingly rare, water accidents involving young children are not. According to national statistics from the U.S. Centers for Disease Control and Prevention, about 10 people die every day from unintentional drowning. Among children ages 1 to 4, drowning is one of the leading causes of accidental death, second only to motor vehicle collisions. Experts point out that infants and young children can drown in as little as three inches of water. Children often drown in places such as bathtubs, wading pools, toilets and even mop buckets. As a consequence, several Vermont daycare providers report that they have policies of never allowing any standing containers of water to be left unattended where an infant or toddler could fall into them. Seventy percent of preschoolers who drown were in the care of one or both parents at the time of the accident — and 75 percent of them were gone from an adult's line of sight for five minutes or less. Of those who survived a water accident, one study reported, the vast majority (92 percent) were discovered within just two minutes of their submersion. Typically, such a drowning happens silently rather than with noisy splashing, flailing about or audible cries for help. Barriers such as fences and gates can prevent kids from slipping and falling into pools, lakes, rivers and streams. But natural bodies of water are ubiquitous in Vermont, and it's not feasible to fence them all off. Experts suggest talking to kids' teachers or daycare providers about their policies and procedures for when kids are near water. If your child's school or daycare has a brook, pond, river or lake nearby, ask the staff under what circumstances they allow children to walk or play near water, and find out how children are supervised. Some swim instructors and water safety programs offer classes for children as young as 2 years old to teach them how to be water wise. Parents, older children and other caregivers can also get certified in infant, child and adult CPR. For more information, contact your local YMCA or regional Red Cross chapter.